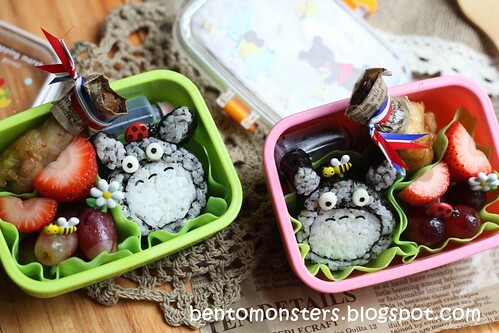 Yay, my favourite Totoro again! 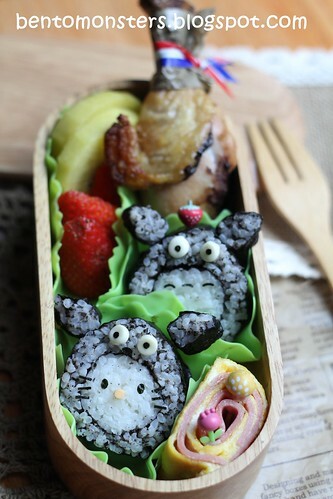 This time I tried to make him from sushi, proportion turned out a little wrong though, lol. 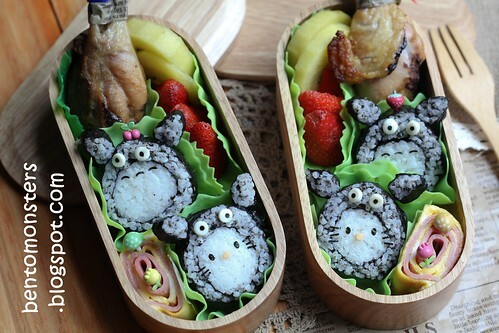 The grey portion is rice mixed with black sesame. The top part did not turn out as wide as I wanted. I thought it looked more like someone wearing a totoro headgear instead, so I added in a Hello Kitty face at the last minute, lol. 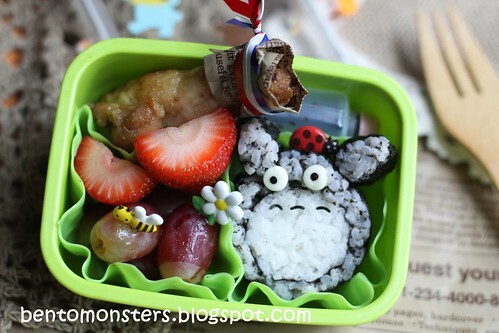 And sushi for School, packed with soya sauce, coriander drumstick, strawberries and grapes. 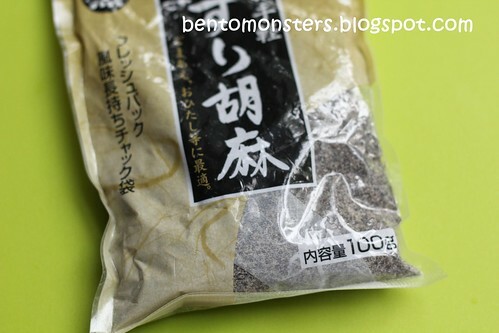 I'm using these ready crushed black sesame to mix with the rice to obtain the greyish hue. If you can't get hold of these, you can buy whole sesame seeds and grind or crush them yourself. 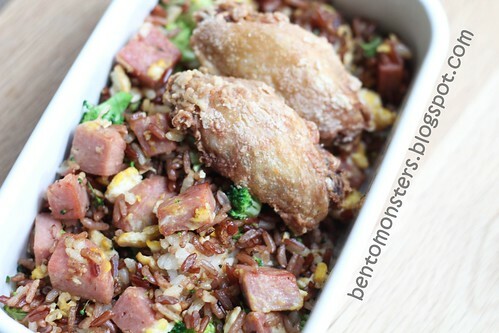 Kept part of the food from dinner last night for my lunch, luncheon meat fried rice and prawn paste wings.